We work with many of the globe’s leading financial services companies, including brokers, banks, investment managers, superannuation and pension funds, insurers, margin lenders, investment advisors and platform providers to help them achieve a deep understanding of their customers’ needs. Importantly, we also work with industry regulators and peak industry bodies to help ensure the industry meets these needs in sustainable and responsible ways. And underlying all this, perhaps our most important role is to give voice to the industry’s end users – investors and intermediaries alike. At Investment Trends, everything we do is built from a starting point of large sets of intelligently selected and surveyed data. Behind that data is one of our most precious assets and stakeholders - the people who respond to our surveys. As a business that gives voice to the end users of the financial services industry, we take our role is representing those voices very seriously. In recognition of this we hold a series of commitments to our survey respondents that form a core part of our culture and the way we work. …Investment Trends in my view are the premier expert in the Australian financial services industry and a partner important to our long term marketing program. The research reports from Investment Trends have given us good insights into the future market direction of investors in Singapore. With these insights, we are able to provide better services to our community of users. The annual Investment Trends report provides valuable and deep insights to market developments, performance benchmark and industry trends. Highly recommended! …The Investment Trends survey provides key insights in to regional client preferences and has become an invaluable tool for industry professionals. Investment Trends offer the best available decision support research in the wealth management industry. BT uses investment trends in our business to support with our strategic decision making and to help us gather a deep and independent understanding of our clients. The research is detailed, thorough and insightful. I have been using Investment Trends research for more than 10 years in product development and strategy. The team’s research and analytical insights are second to none. There is incredible depth and rigour in their analysis, and they are able to provide invaluable insights to our platform development roadmap. Investment Trends research is an important component of netwealth’s product development process. The research enables us to identify developing trends within the industry that allow us to make relevant judgements about the future direction of netwealth and our product offering. The Investment Trends report is highly relevant and gave us informative insights into the CFD industry. This will enable us to be customer-centric and serve Phillip Securities clients better. It is a remarkable piece of work by a highly professional team! For many years we have relied on Investment Trends to gain insights into our markets and specific customer segments. This information influences strategic decisions, product development and market positioning. If you are a survey respondent and have any questions about how we work, we invite you to click here to contact us. 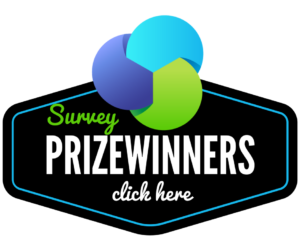 If you're visiting to find out if you won a prize for completing a survey, click here to see the list of prizewinners.